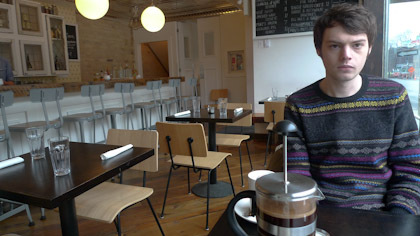 Yesterday we had a brunch date at the newish Hoof Cafe on Dundas West. 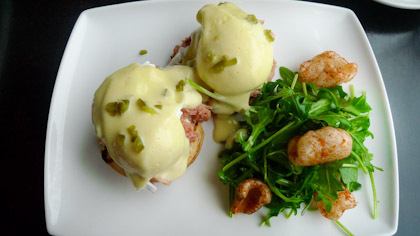 It’s amazing to see restaurants creating new and interesting dishes, and it seems Toronto has really come out of it’s culinary shell in the past few years. When you have a country with so many people from so many different places there’s a struggle with Canadian identity, whether it’s food, design, or fashion. It’s really been nice to see things like gourmet poutine and caribou, and charcuterie, becoming available all over Toronto and adding to the unique food experience in Canada. 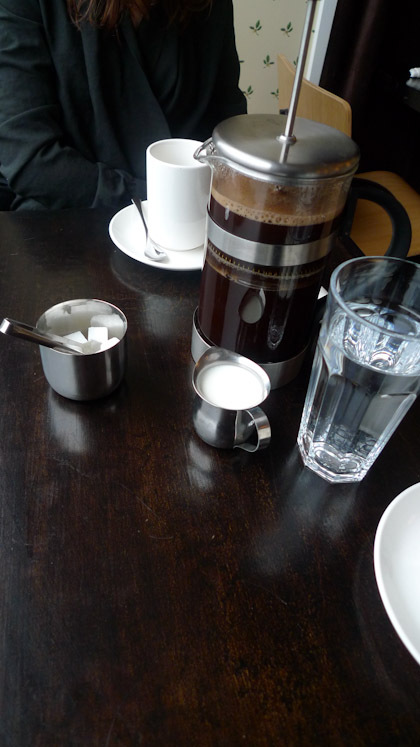 We started breakfast off with a french press for two, which was very very satisfying. 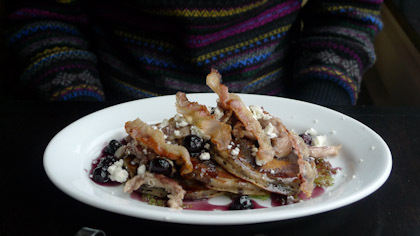 And I had the rabbit and buckwheat pancakes topped with bacon and blueberries, it was to die for. 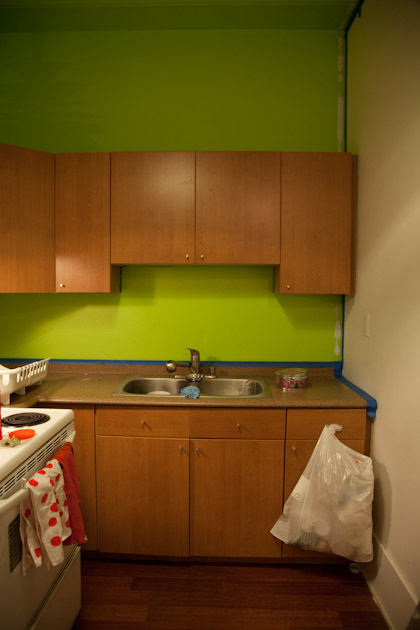 After doing many store oriented errands we came home and I felt inspired to paint over the lime green disaster that is our kitchen. You’ll have to check back for the finished result! 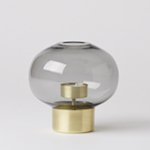 « Mjölk is the best new design shop of 2009!